• Your eastern sojourn begins now. • Visit Trashi Gang Dzong. • Stop at the village of Duksum to see the shops selling the colourful patterned cloth that is woven by the women of the village using back strap-looms or just relax and explore Trashigang. 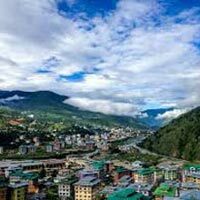 • Drive westwards to Mongar leisurely in the morning- As we descend into the valley of the Kuri Chhu we pass extensive cornfields and at the valley floor rice terraces and tropical fruits such as mango and pineapples flourish. • The towns between western and eastern Bhutan also differ. In western Bhutan most towns are situated in valleys but in eastern Bhutan most towns, including Mongar, are at the tops of hills or ridges. • Mongar Dzong – Although built in the 1930s and one of Bhutan’s newest dzongs, it is constructed in the same way as all earlier dzongs, without plans or nails. However unlike the earlier Dzongs, that are located in strategic positions, Mongar Dzong is located on a small gentle slope just above the town. A visit to Mongar Dzong shows one how traditional Bhutanese architecture has continued to thrive through the centuries. • The drive between Mongar & Jakar is one of the most spectacular drives in the country. When crossing the Thrumsing La (Bhutan’s highest pass at 3,800m) we are now officially departing eastern Bhutan. The drive across the Thrumshing La pass and the subsequent descent from high altitude pine forest to lush pastures is long and at times tiring, the constant natural vegetation variation and change makes it one of the most exciting drives here in the country.Enroute visit the Ura valley, the highest valley in Bumthang and believed by some to have been the home of the earliest inhabitants of Bhutan. It allows us an insight into how the central Bhutanese live. The cobbled streets of the traditional village of Ura give a medieval feel. The old women of this region still wear sh2, 6eepskin shawls on their backs which double as a blanket and cushion. • Visit Jakar Dzong - pitched on a high ground overlooking the town junction, it was built as monastery in 1549 by the great grandfather of the Zhabdrung. It is now used as the administrative center for Bumthang district. 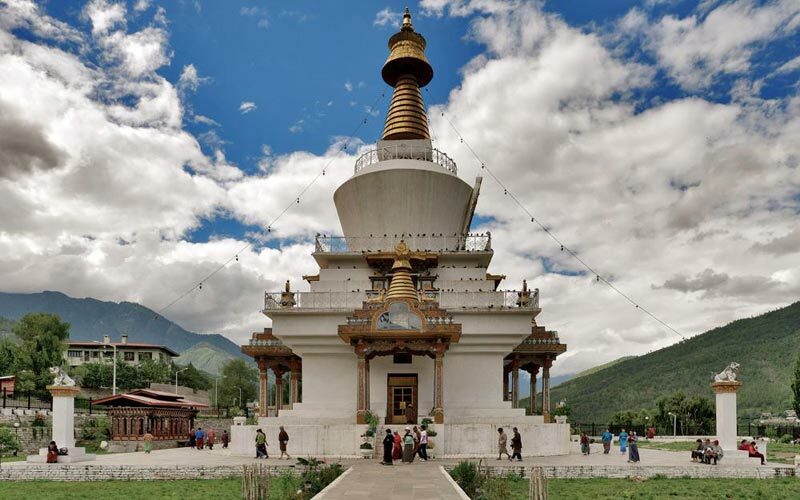 • Visit Kurjay Lhakang - (left-bottom), one of the most sacred monasteries in Bhutan. • Evening visit Me-Bar Tsho (Burning Lake) one of the most sacred sites in Bhutan, the holy lake is said to be one of the holiest lakes in Bhutan. 1. Canceled trips may be postponed without inviting any charges provided no refund is transacted. 2. Cancelled trip within 30 days or more prior to arrival - 20% cancellation charges from total amount applies. 3. Cancelled trip within 21 prior to arrival -50% cancellation charges from total amount applies. 4. Cancelled trip less than 15 prior to arrival -100% cancellation charges from total amount applies. 5. No refund for No Shows or Early Departures. 6. Company shall not be liable for any additional charges arising from any natural calamities like road blocks, flood, etc. 7. Unavoidable cancellations, no refund shall be made, will be kept as deposit for future trips.